THE GODS OF ABOVE AND BELOW FROM THE LEFT HAND PATH Perhaps you have sought for the hidden mysteries of the old gods, only to find a one-sided "white light" interpretation, the shadow often being diluted to suit general public consumption. If you have sought the Pagan gods in their balanced form - being of both light and darkness, you will be able to pass through the veiled tests of "good" and "evil" to understanding human nature and spirituality. 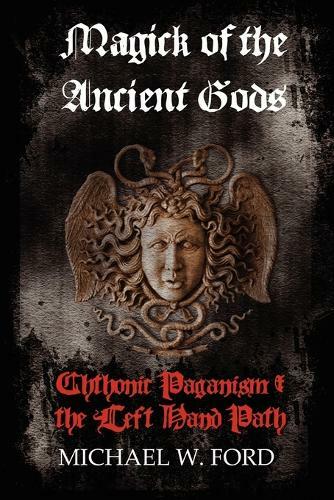 Magick of the Ancient Gods presents techniques adapted from ancient hymns, spells and rituals from long overlooked Greek, Roman and Eastern religious lore as well as the role of the Olympian and Chthonic Gods in spirituality. The Left Hand Path offers instruction and guidance towards working with these Gods and Goddesses to become "God Manifest" or transforming the self into a living deific power.